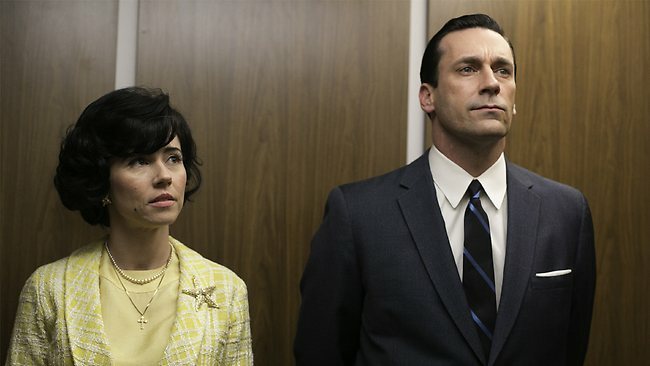 Don Draper and his gang of business colleagues, friends, foes, ex-wife, kids and current wife who whirl around the Madison Avenue advertising world of the 1960s get digitized in the TV show drama Mad Men: Season Six. From AMC and creator Matthew Weiner (executive producer and writer of The Sopranos), the critically acclaimed television series has won a zillion awards over the course of its run. Most recently, Season Six was nominated for a colossal 13 Emmy Awards, including Outstanding Drama Series, Outstanding Lead Actor (Jon Hamm, Friends With Kids) and Lead Actress (Elisabeth Moss, Get Him to the Greek) in a Drama Series, and Outstanding Supporting Actress in a Drama Series (Christina Hendricks, Life As We Know It).